In Judaism - the term denoting the presence of the Lord, including in the physical aspect. Basically, the term was used in the context of the description of the holy saints of the tabernacle of the congregation and the Jerusalem temple, and was defined as a sense of the presence of divine power. The concept of Shekhina arose in Talmudic Judaism (see i. Priestly Scripture). The literal meaning of the term is "presence [among]"; The term itself is derived from the verb "Shakan" (Hebrew שׁכן, "visit, arrive", compare "mishkan"), characterizing the stay of Glory (Hebrew כבד, cabod) God Yahweh among the people of Israel in the tabernacle of the congregation. Actually, the word "schooner" does not occur in the Bible, but it, as well as its derivatives, is used to denote both the concept of "Glory of the Lord" and the concept of the Tabernacle in the Jewish translations of the New Testament. 1. Almost everything is ready for the construction of the temple. There are means, material, temple utensils, as described in the Tanach (Old Testament) and as required by the Tanakh, that is, they are kosher and are suitable for use in the temple. There is serious evidence that the ark will find. 2. The Temple Mount belongs to Muslims. As soon as the Jews rise to the mountain, war will begin. But what do the Jews lose? The Arabs still hate them and do evil from all of these. What new forces will they have? 3. 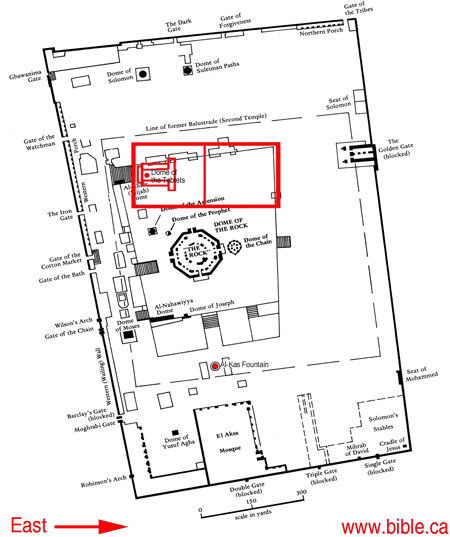 So, we found out that nothing is an obstacle to the construction of the third temple. What is the main reason for this delay? What makes a temple a temple? The temple in Hebrew is the House of God. It is clear that if God does not settle here, then this is anything, but not the house of God. Shkhinah is the main reason. This institute is engaged in studying the description of the temple and prepares everything necessary for the construction of the third temple. When the victorious emperor Napoleon Bonaparte was in Rome during the 9th Av, he was very surprised by the sight of the grieving Jews. With natural curiosity, he sent an adjutant to find out what they were crying about. - They mourn the destruction of the Temple, Your Majesty. - Who destroyed it and when? - Emperor of Rome Vespasian, 1800 years ago, - puffed out the puffed adjutant. - If people can remember their past, such people have a future. If the people are able to remember their Temple and cry for it for two thousand years, it will be able to build it, "the emperor said for the chronograph following him. Today the state of Israel is restored, which was unthinkable in the days of Napoleon. The temple will be built tomorrow.